In ancient Russian Lives of Saints and chronicles, one often finds the phrase: "He was a good offshoot of a good root." I would like to apply these words to our First Hierarch, Metropolitan Philaret. His father, protopriest Fr. 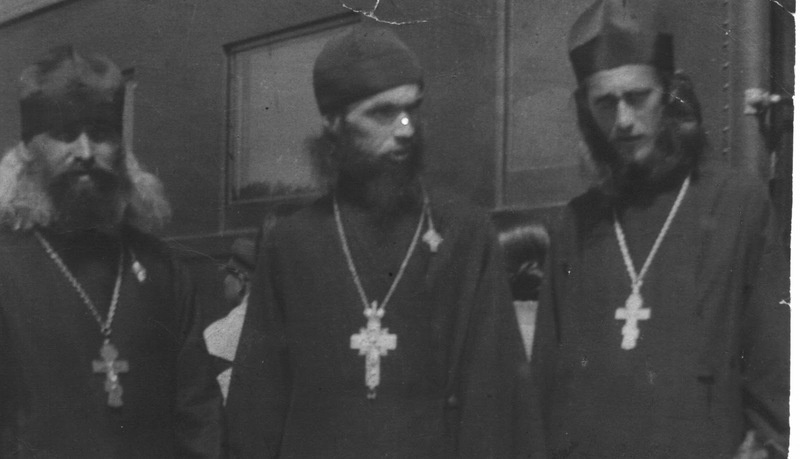 Nikolai Voznesenky, who later assumed the monastic life and became the archbishop of Hailar, where he was one of the finest, if not the very finest, clergymen of the Far East diocese of Manchuria, already rich with good pastors. Soon upon his arrival in Harbin, if not back in Blagoveshchensk, Fr. Nikolai lost his dear wife and enthusiastically assumed the rearing of his children--two sons and three daughters. He loved mathematics for its pure, dispassionate clarity. For this reason, with the lack of a theological school, he enrolled in the Polytechnical Institute and graduated with honors. Yet the thirst for religious studies remained unsatisfied in him. Another young student who sought to become a clergyman tried to take advantage of the same plan, but also could not. When several years later he told his sad story to the renowned Serbian hierarch and sermonizer, Bishop Nikolai Okhriditsky, the latter responded: "Thank God for that...I studied there for eight years and learned the same things I learned in two years at an Anglican school." At the same time, living in Harbin, Bishop Nestor of Kamchatka, who lived in Harbin yet did not join the diocese and so independent, created a so-called House of Mercy--an orphanage for orphans and a refuge for the elderly. Along with his friend, Fr. Philaret lived in a cell for 8 years, and, recently, remembering those days, he told the nuns of Lesna Convent in France: "We lived with Fr. NN for eight years in one cell and did not quarrel once." This monastery had been very active: there were workshops, a tailor works, shoe manufactury, metalsmithy, woodshop and blacksmithy. There were also a printshop and bindery. 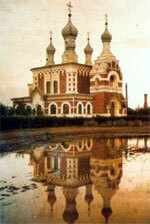 The monastery's books educated all of the Russian Far East. There was an apiary and a dairy farm with a special area for reindeer breeding. There were orangeries and nurseries under the supervision of Hegumen Sergii, who had finished the Higher Agronomical Institue, in which the monks acclimatized for the Far East all sorts of vegetables and fruiting plants of Russia. There was a candle factory and a school. There were up to 300 monks and novices there. The Monastery owned 3753 dessiatins [transl. note: each dessiatina is equal to 2.7 acres] of land, mostly in the remote areas of the coastal, semi-tropical taiga. Most importantly, there was a high level of spiritual struggle in the monastery, to which Orthodox souls were drawn from the entire Far East, seeking the "Lenten life," as to a lantern. Among the brethren were not only Russians but Orthodox Chinese as well, and Koreans and a few Japanese. All this was rooted out by the communists in 1926. The monastery was closed, monks driven away, the workshops and means of production seized and collectivized. But in two years, nothing was left: the reindeer died off, the acclimatized plants disappeared. After dinner, the monks served compline. Tha canon was read, including the akathist. The spiritual fervor of the monks urged them to seek out additional readings which could be included. After compline until the end of midnight office, all conversations were forbidden. Spiritual fervor is always contagious. The young monks of the House of Mercy were gradually joined by young people who loved the Church and were drawn to the monastic life. Some of them assumed monasticism. By the middle of the 1930's, there were already 9 monks at the House of Mercy. In 1932, Fr. Philaret, together with scouts from the Harbin brigade, walked 107 kilometers to Maoershan Station, where he was to set up a children's summer camp. "Fr. Philaret," resounded the voices of the children, "bless this water, we'll drink from it then, and nothing will happen to us." Fr. Philaret read the Lord's Prayer and blessed the "drink for the servants of God." The scouts threw themselves into the water. "Fr. Philaret, I swallowed a tadpole," said one boy. "That's alright, this water was blessed. 'For he who drinks of poison will not be harmed,' it says in Scripture," said Scout Semyon wisely, one of the frequent worshipers and the monastic services at the House of Mercy. When during the final two "additional" kilometers to Maoershan, the children reached their limits, sitting down and refusing to continue, the lone voice of Fr. Philaret began, quietly at first: "I crossed the water as on dry land, and escaped the wickedness of Egypt..." The holy words were caught up by the children, of which some half sang in their church choirs. A flash of courage flashed through the tired faces of the children. They gathered themselves up and with the singing of the irmosi reached Maoershan Station, where they were met by a group who had traveled by train. Not far from the scout camp was a large raspberry garden belonging to a Chinese merchant, who would allow the scouts in for 10 cents a person. The children were able to eat all the raspberries they could there, but couldn't take any with them. "We are stuffing ourselves with delicious raspberries now, but the ancient fathers did not have the same approach. One holy hermit father was brought as a gift a large frond of ripe, sweet grapes. The holy father thanked them, but did not eat of it himself, but sent it to a neighboring hermit. He did the same. And all the holy fathers of the desert did so, too. Finally, the grapes returned to the first hermit, and he rejoiced that all the hermits of the area turned out to be just as restrained." "But what happened to the grapes?" asked one scout. "I don't know, but I think that the first hermit squeezed the juice out of them, and then, when it became wine, used it for liturgy," said Fr. Philaret. "So, does that mean that we shouldn't eat the raspberries?" asked one crestfallen boy. "No, children, eat the raspberries as you like. But do not give your entire souls over to it. Do not be enslaved by raspberries, or any other food. Eat with your mouths and stomachs, but do not give your souls to it. I told you about the ancient hermits, great giants of spirit, not to spoil your appetite for the raspberries, but to remind you that our guides, our examples, are not those who are enslaved by bodily instincts, but those who could master them, those who did not touch the delicious grapes, although, of course, they very much wished to no less than we wish to eat the raspberries, but they could subject their desires to the effort to struggle in spirit and to their care for their neighbors. That is what we must learn." To a great degree because of Fr. Philaret's influence, the main readings in the House of Mercy were the works of the Holy Fathers. The young monks tried to sate their souls with their holy guidance and shining examples. "Fr. N., what are you reading?" "I also used to read useless books before I entered the monastery." In the mid-1930's, the Soviet authorities sold the Eastern Chinese Railroad to Japan. Tens of thousands of Russians who worked on the railroad were dismissed and had to choose: to depart for the USSR or to remain jobless in Manchuria. Among those who remained were many young people, educated in Soviet schools, where they were drawn away from the Church and persuaded that religion was incompatible with science and was a sign of ignorance. "Read something here," said the monks to them. "What is there to read, this is only religious stuff, it's not interesting," protested the youths wanly. "We're ready to go fishing." "Wait, let us finish reading, this really is interesting." And so those who had never read Holy Scripture became acquainted with it. Besides daily services, the monks of the House of Mercy carried obediences in the teaching of the Law of God in an orphanage and in various middle schools of Harbin. The students of the girls' Aksakov Gymnasium would say later: "Of all the classes in the Law of God, we only remember those of Fr. Philaret." Having become a monk and settling at the House of Mercy, Fr. 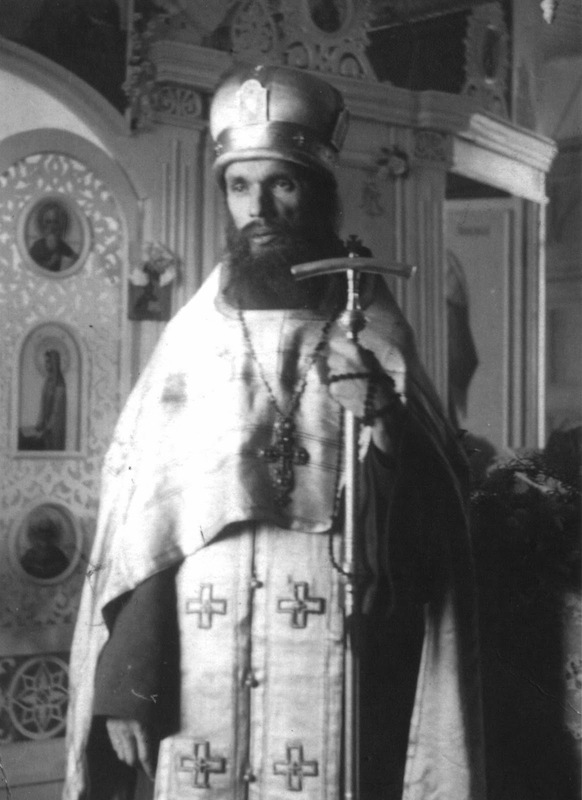 Philaret continued to preserve close ties to his father, Protopriest N. Voznesensky, who also soon after assumed the monkhood with the name of Dimitriy, and became bishop (later archbishop) of Hailar. Still, he gave these 10 cents to the beggar, and continued on foot, some 5-6 kilometers away--an hour and a half away at a brisk pace. On the way, Fr. Philaret thought about the fact that they say that if one gives in the name of Christ, that it will be returned to you a hundredfold, but this does not happen on earth. Returning to the House of Mercy, he remembered that the marriage of two of his spiritual children was scheduled that day, which he was to perform. Donations for services of need were collected in a common cup, which was then distributed for the maintenance of the orphanage and old persons' home, and a part going to the clergymen. "Dear Father, please, take these ten dollars for yourself personally, it's from our love for you." "For today's kind deed I will receive nothing in the Kingdom of Heaven, since I received my reward in its entirety here on earth." Metropolitan Anthony was still among the living then. The young monks of the House of Mercy nurtured endless respect and love for the great elder bishop, father and teacher of the Church. His works, especially "Testament," "Pastoral Theology," "Lexicon for the Works of Dostoevsky," were favorite readings of these young monks. They were raised on Metropolitan Anthony's writings, they absorbed them, maturing in spirit, and kept the image of these works before them. Soon afterwards, one of the monks of the House of Mercy [the author of these lines--ed.] was to accompany Bishop Nestor during his trip to the Council of Bishops convening in Yugoslavia, and saw Metropolitan Anthony there himself. One episode showed this especially cleary. 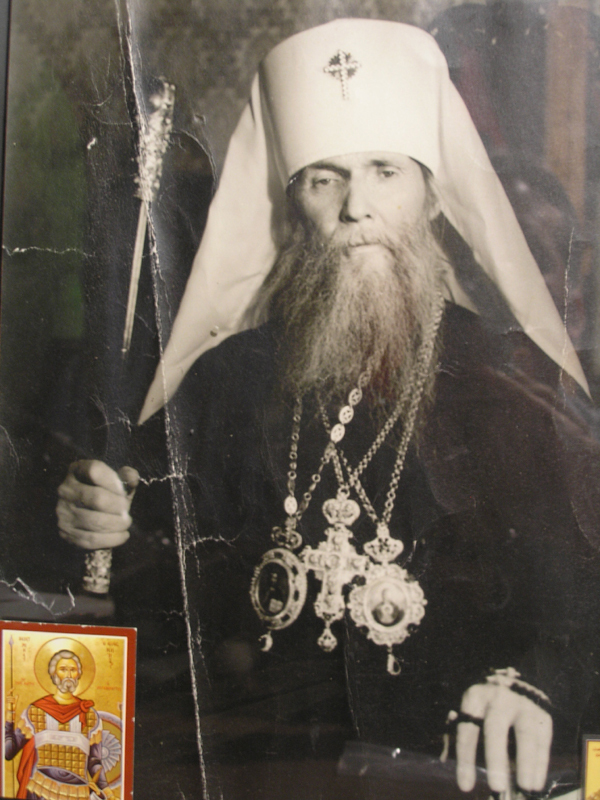 Not long before his departure from Yugoslavia, sitting at the table with Metropolitan Anthony, the monk from Manchuria turned to the First Hierarch with the request to give him an autographed photo as a memento. Vladyka Anthony eagerly complied. The Metropolitan's aide, Fr. Archimandrite Feodosii brought him a photograph for his inscription. The Manchurian monk looked over the shoulder of Vladyka and froze. The Metropolitan wrote: "To my dear and favored Fr. Hieromonk Philaret, with heartfelt love, Metropolitan Anthony." Despite that fact that another hieromonk was standing beside him, some half a meter away, the mind and heart of Vladyka Anthony were with the one he chose, never having seen in person, ten thousand kilometers away. "Oh, yes, this photograph was meant for you," and taking another one, he made a similar inscription upon it. From the compendium "Conversations on Holy Scripture and Faith," New York, 1995.